Oh Hey There! 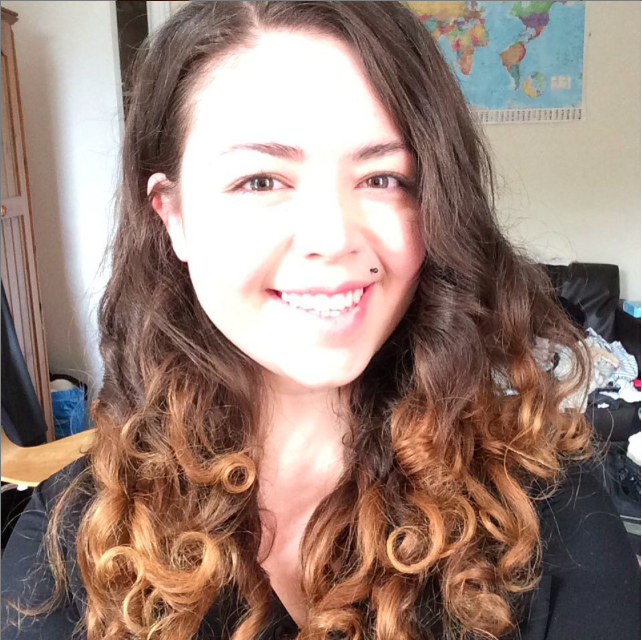 : The Body Shop Rainforest Moisture Shampoo - Review on Curly Hair. The Body Shop Rainforest Moisture Shampoo - Review on Curly Hair. So I have been needing to buy a low-poo for a while but I really didn't want to spend a lot of money. I get on great with just co-washing but I wanted something that would help get some of the leftover oil out of my hair from conditioning masks that I use about once or twice a month. So I has heard a few people talking about one The Body Shop did and thought I would give it a go. I chose the Rainforest Moisture one for dry hair and the bottle says that it contains Pracaxi Oil, Manketti Oil and Community Fair Trade Honey. 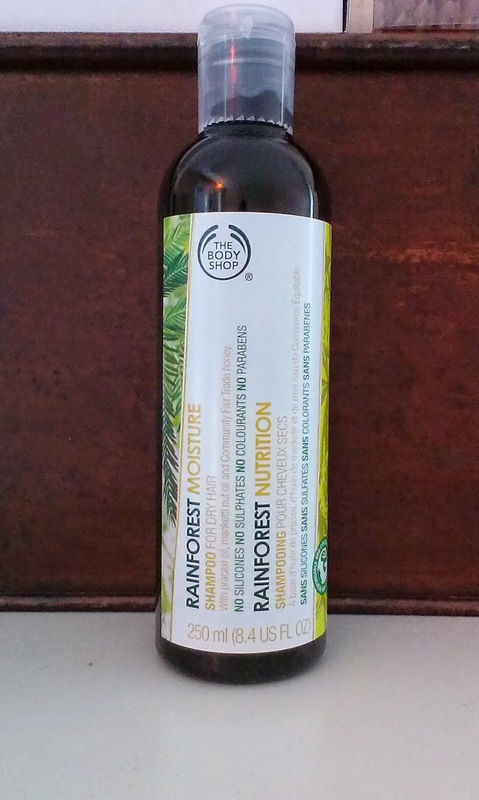 The Body Shop Rainforest Moisture Shampoo - For Dry Hair. The smell of the product is really nice, albeit a little unusual, but nice. The consistency is fairly standard for any kind of shampoo but feels quite nice in the hand. It also lathered really well. I was using it to wash out oil from a deep condition and didn't want to get to much out so I only used about a 50p sized amount but that was actually more than I needed! So it seems as though it will be quite economical. It washed out easily and did a good job getting oil from my hair and my hair felt cleaned but not too dry afterwards. Well, it felt a little bit dry considering I had just done a deep condition, but only a little and I think I used too much. Also having not used any shampoo of any kind in about 6 months, I think this is partly me not being used to it! I actually don't have a lot to say about this product other than it's good and not too drying. It does what I want it to do and does it pretty well. It is nothing amazing, but it is just a low-poo, simple no fuss, so I don't expect to see any major results. I would buy it again as I think it works and is a reasonable price, especially considering how little is needed and how easily I can get it. I think this will be my go to low-poo from now on.